You can completely transform your home with the addition of a bifold door. Everyone who has had a bifold door installed is surprised by the amount of light it brings into the house and the amount of space it gives to a room. If you are looking for that ‘wow’ factor which will also add value to your home then a bifold door is the answer. Camberley Glass and Windows is the local glazing company to contact if you are considering a new bifold door. 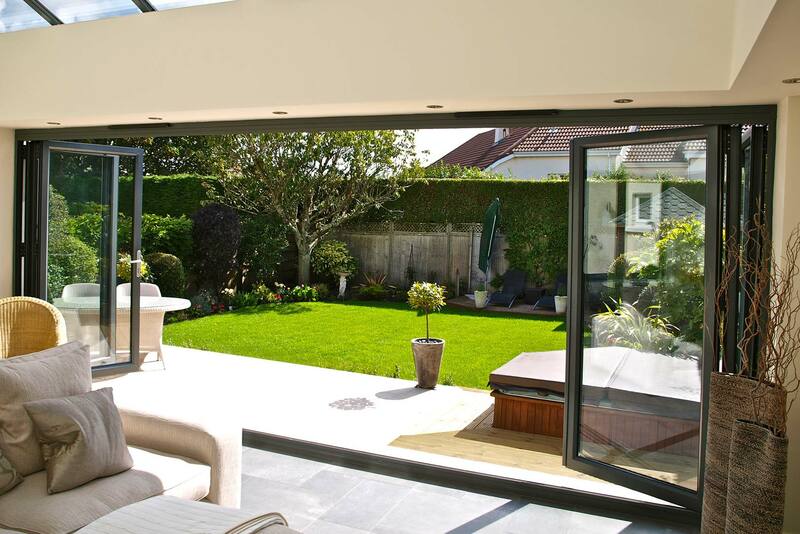 We have many years experience in supplying and fitting bifold doors to the people of Aldershot. We are an approved trader on the Buckinghamshire and Surrey Trading Standards Approved traders list and all our staff are fully qualified and FENSA registered. Here at Camberley Glass and Windows we take pride in giving the best possible service to our customers and you can see the positive feedback we get on our testimonial page and the Checkatrade website. Indeed much of our business comes from personal recommendation. There is an extensive range of bifold doors at our showroom in different materials, colours and textures. All our doors are manufactured to exceed British Trading Standards which means that there will be minimal heat loss and maximum noise exclusion together with a high level of security. All our bifold doors are fully guaranteed. If you would like to see our showroom at our offices in Camberley, Surrey, you could browse the bifold doors on offer and try them out. We also have a variety of brochures which you are welcome to take home. Also if we could help you with some friendly advice or answer any questions we would be pleased to do so.